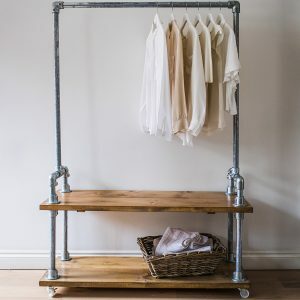 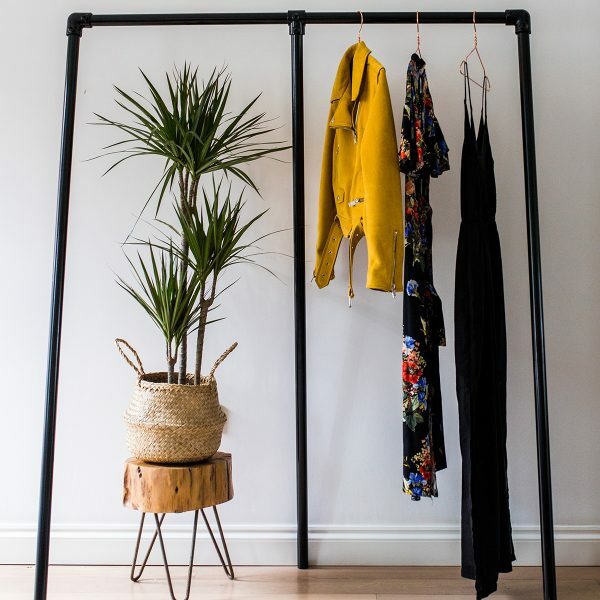 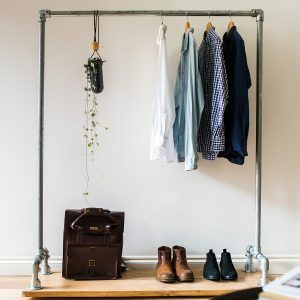 Inspired by the traditional trestles loop stands, this steel clothes rail is designed with three legs. 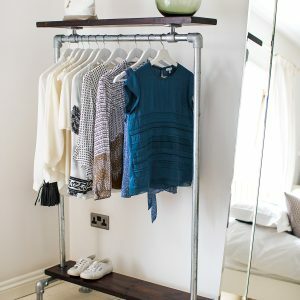 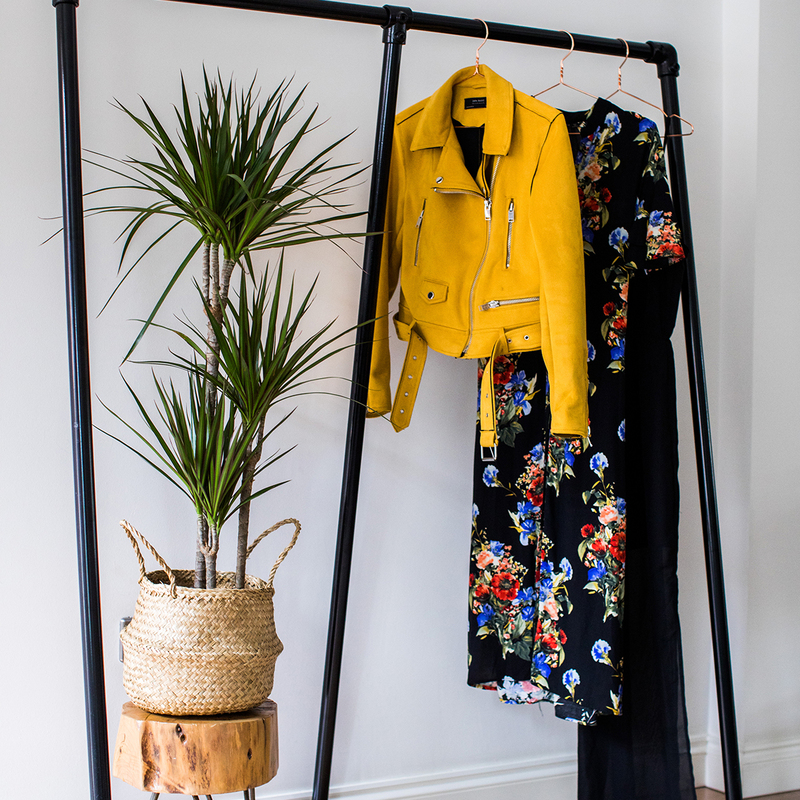 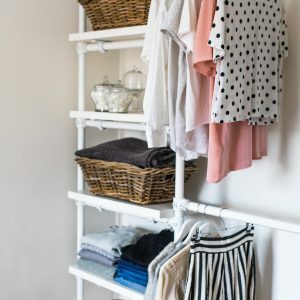 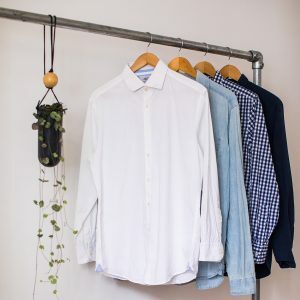 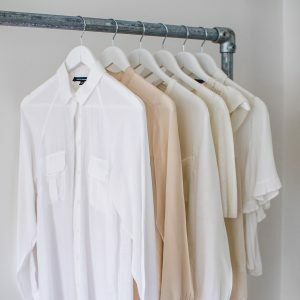 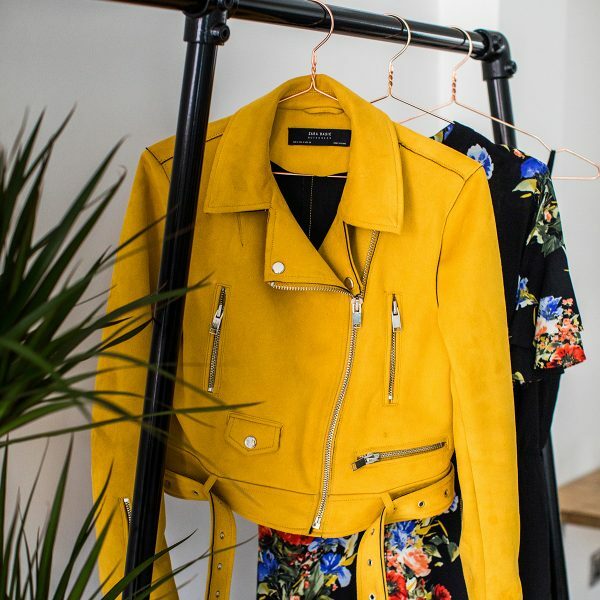 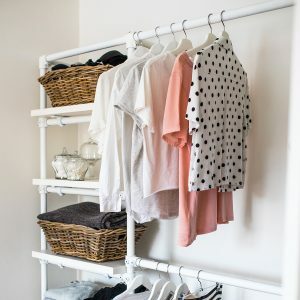 This simple yet sturdy design is the perfect way to display your favourite clothes. The galvanised steel tubes are powder-coated to create a perfect matt finish. 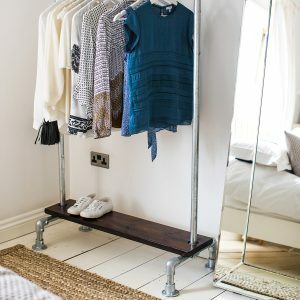 Constructed from structural galvanised steel pipe and industrial socket clamps.